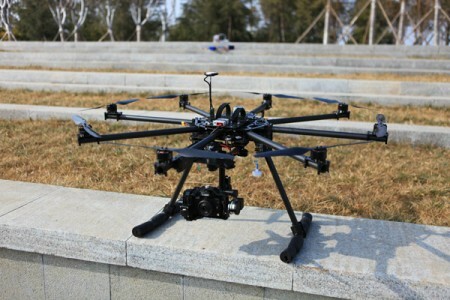 This octocopter is designed for commercial aerial photography application: -3K carbon structure, strong yet light in weight. 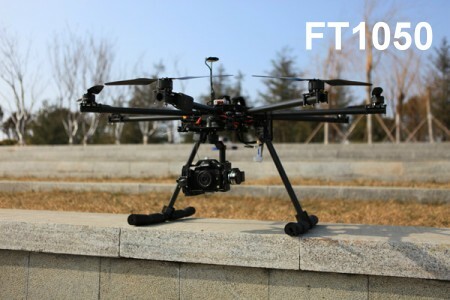 -Dual shock absorbing design for Gimbal system, effectively eliminate "rolling shutter" effect. 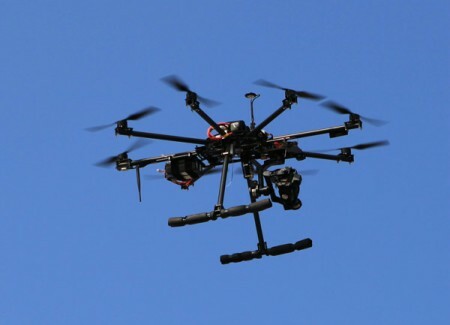 -Shock absorbing design for flight control system. 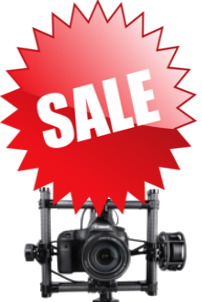 -Optimized for DJI WOOKONG flight control and ZENMUSE Gimbal (not included) -Two battery mounting positions. 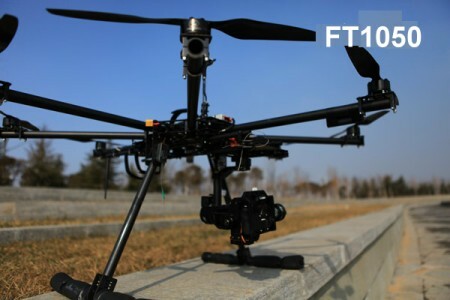 -Heavy duty landing skid During our real testing, it can work 15 minutes under below setting: Fly weight is around 9-9.5kg, using 6S 20000mAh Lipo battery, cut-off voltage is set to 3.7V/cell. -Material: 3K carbon and aluminum fittings.